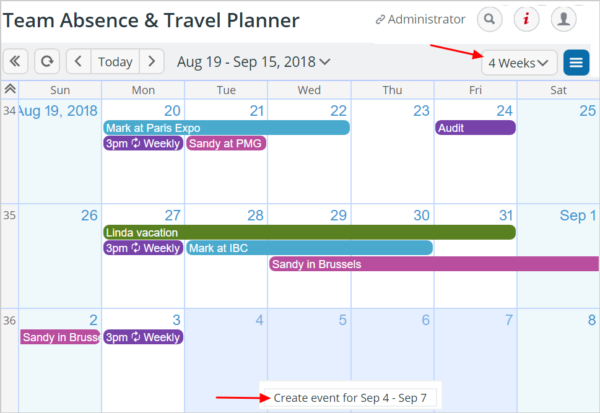 Entering calendar data into a Teamup Calendar is similar to most other calendars. 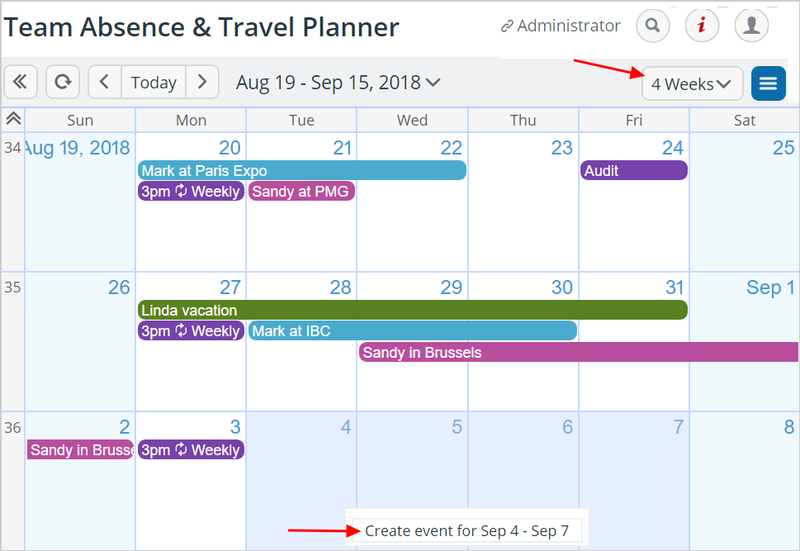 Here are a few tips that can help you move faster in your calendar. The result is fewer keystrokes which means greater efficiency. 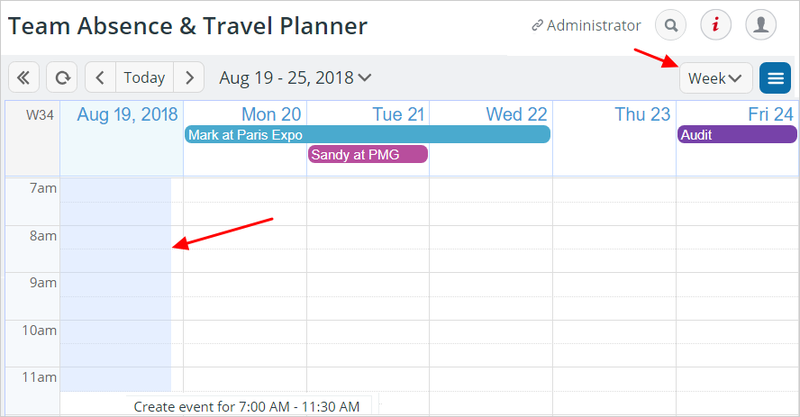 Tip 1: For All-day or multi-day events, use the Month or Multi-week view, click and drag over the relevant dates, and release the mouse to open the editor. When the event editor opens, it will already have the relevant dates for the event. Tip 2: For time-specific events, use the Day or Week view, click and drag over the relevant times, then release the mouse to open the editor. The event editor will open with the times already set for the event. Tip 4: Choose the date of your event in the mini calendar in the top left to jump to that date. Note that you can scroll with your mouse through the mini calendar. 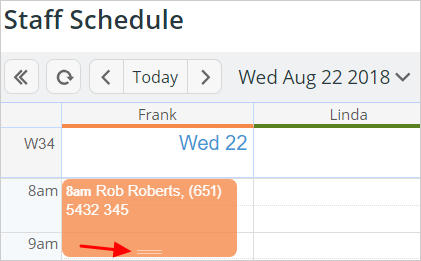 If using the List or Agenda views, click on the event date in the mini calendar first before clicking Add event. The start date will be set accordingly. Tip 6: When changing the start time of an event within the event editor, the end time changes automatically, keeping the duration of the event the same. This is especially helpful if moving events to earlier or later start times.